Fair. Fast Dispatch. Expedited UK Delivery Available. Excellent Customer Service. No dust jacket. Very Good. 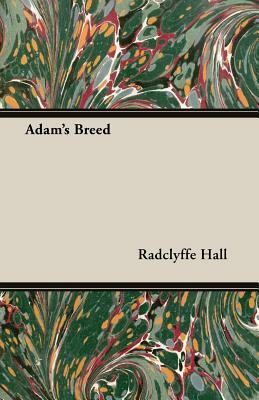 Adam's Breed (VMC) by Radclyffe Hall, 1985-12-09. 406 p. Virago Modern Classics . Good + 12mo-over 6¾-7¾" tall. pp. 415. Very good reading copy, pages clean and unmarked, excellent condition. Previous owner's name hand-written on front page, 'Hetty. Xmas 1934'. Oatmeal cloth cover is more worn, with some discolouration and fading. Less well-known than the author's 'The Well of Loneliness' but quite possibly a better book for not trying to issue a manifesto. Acceptable in Poor jacket. 12mo-over 6¾"-7¾" tall. 415 pp. Sound condition, unmarked pages, secure binding. Slight tear at top of outer spine, some creasing on spine. Jacket badly torn. A classic novel by Radclyffe Hall.